Total value of over $198!!! Mother’s Day is right around the corner and I am pleased to share details about what I believe to be the best Mother’s Day gift that money can buy. Since 1997 Genuine European Portraits has been offering exceptional hand drawn portraits to customers in the UK and the USA. It all begins with a photo. When you select a photo to send to Genuine European Portraits, you are selecting a moment in time that will be preserved forever. The talented team of artists can do amazing things with a photo! They can even take several photos of different people and draw them into one stunning portrait! After the photo is submitted to the artists at Genuine European Portraits, you are selecting a moment in time that will be preserved forever. After the photo is submitted to the artists at Genuine European Portraits, it will be drawn, with the most amazing attention to detail, in Barcelona. It will be framed and delivered to your door, where it will amaze you for years to come! 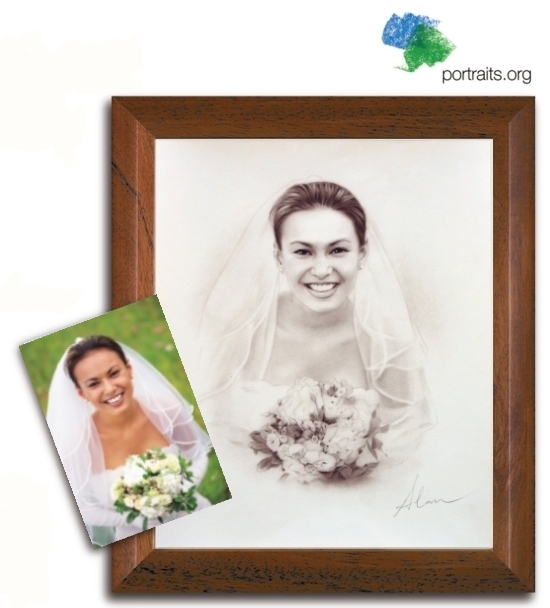 Your Mother would be thrilled to receive a hand drawn portrait for Mother’s Day. Visit www.portraits.org to place an order today! You will want to stay tuned Sweet Silly Sara readers! Genuine European Portraits has generously offered to sponsor my Makobi Scribe Mother’s Day Gift ideas Giveaway! One very lucky reader will have a chance to win a fantastic Genuine European Portrait! The event begins on May 1st and ends on May 18. Be sure to read my full review here. I received one or more of the products or services mentioned above for free in the hope that I would mention it and believe will be good for my readers. I am disclosing this in accordance with the Federal Trade Commission’s 16 CFR, Part 255: “Guides Concerning the Use of Endorsements and Testimonials in Advertising. I'd love a family portrait or maybe of just the kids.